His super-sharp adamantium claws can slash through steel. His mutant healing ability can mend even the worst wounds in minutes. 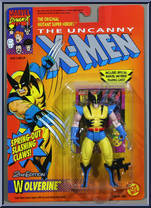 He's Wolverine, the best at what he does and what he does best is fight Evil Mutants! With his keen senses of sight, smell and hearing, and his frighteningly fierce fighting style, enemies claim Wolverine is more animal than mutant. But his fellow X-Men know that he's the best friend they have, especially when the going gets deadly dangerous! Contribute pictures, update details or suggest corrections for Wolverine (2nd Edition). 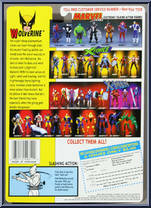 Write a review about Wolverine (2nd Edition).